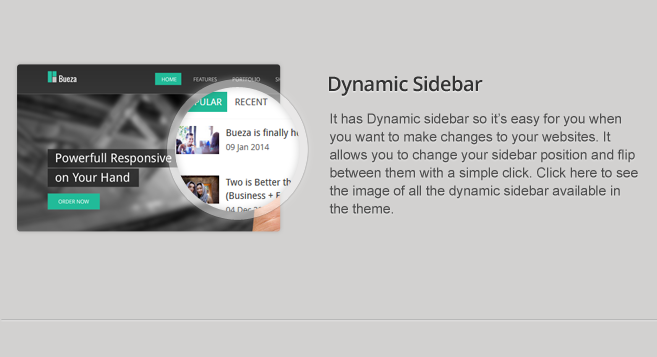 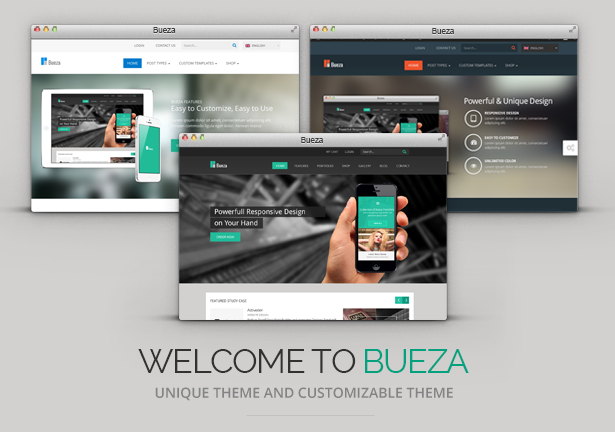 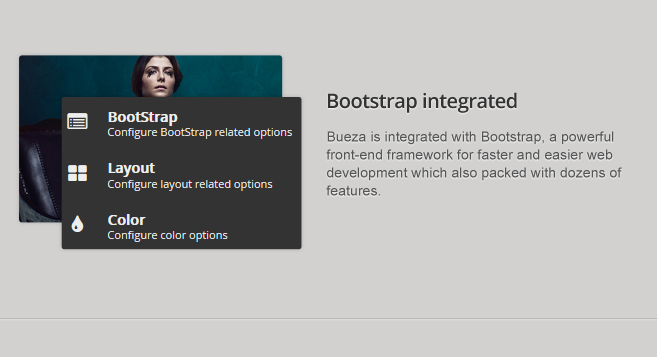 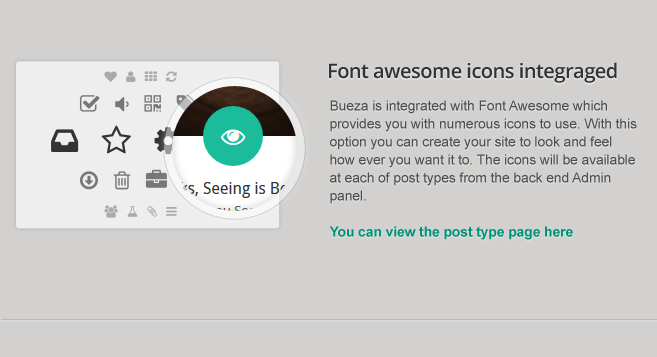 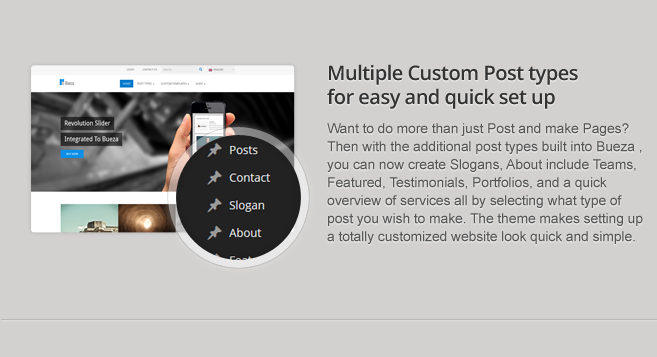 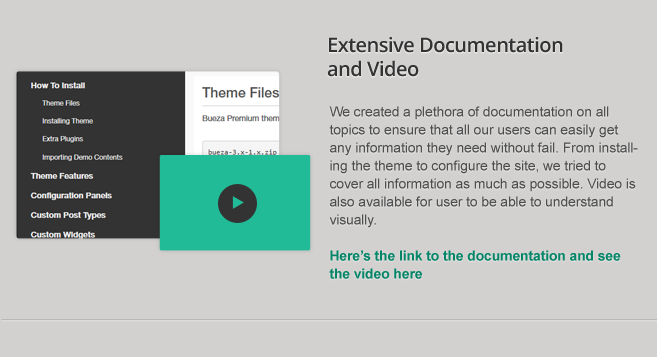 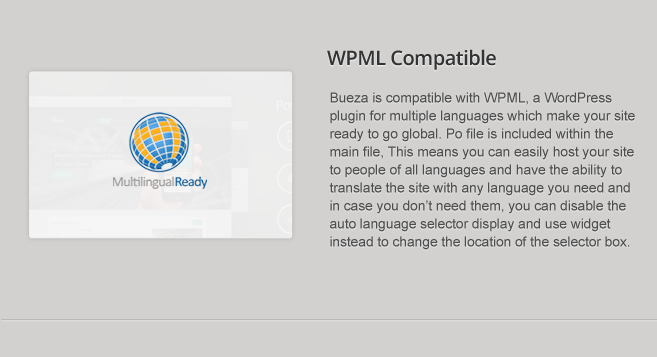 Bueza is a flexible, fully responsive and multi purpose WordPress theme. 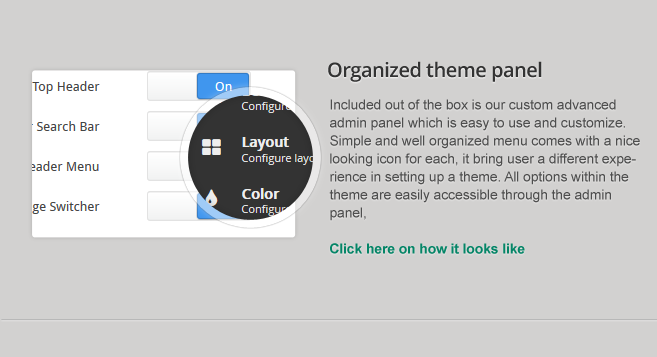 It sets the standard for top quality themes with a quick support, frequent updates and an endless set of possibilities for your website! 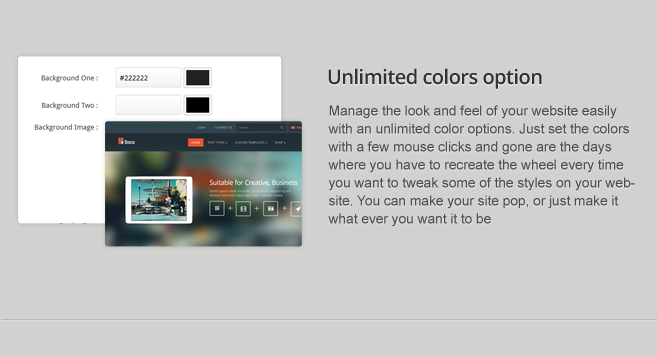 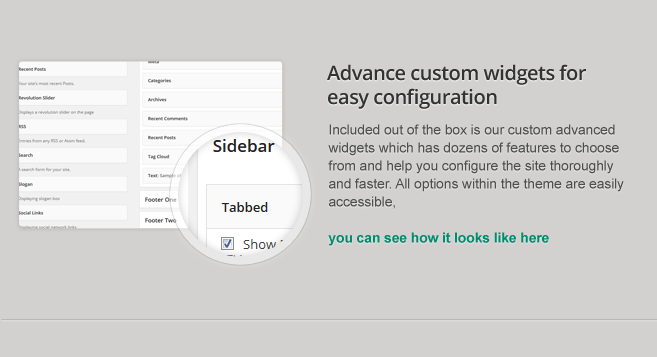 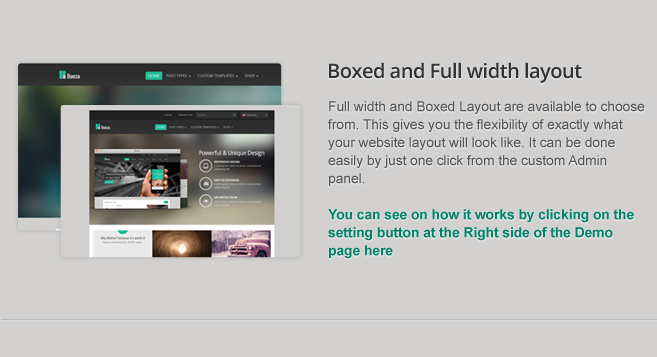 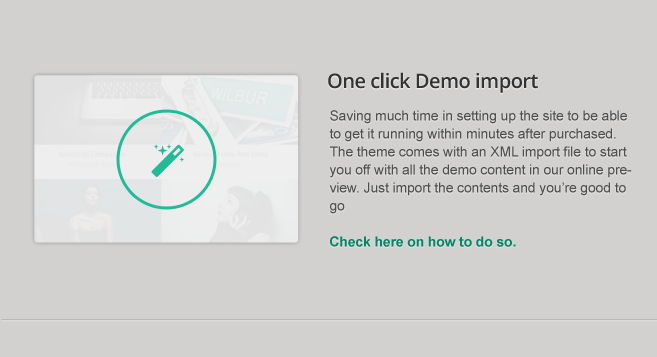 It is designed so it is easy to use and working on your site right on install. 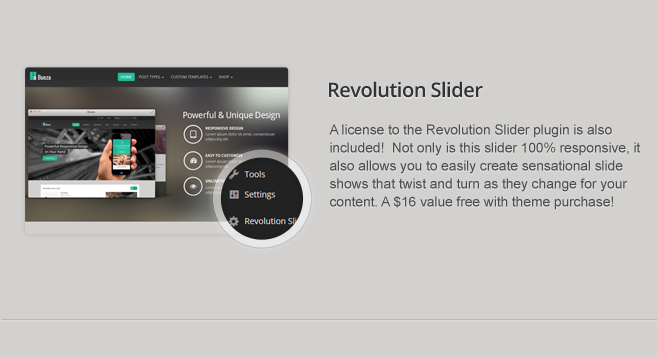 It is built with the latest in HTML5 and CSS3 in mind to ensure it meet the standard of quality websites. 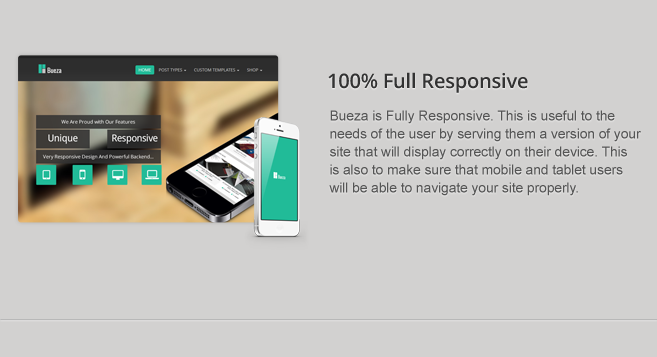 Bueza is the media that will get your website noticed, the clear cut design is useful for any type of website, whether it a small business, corporation, personal blog, sales page or your portfolio. 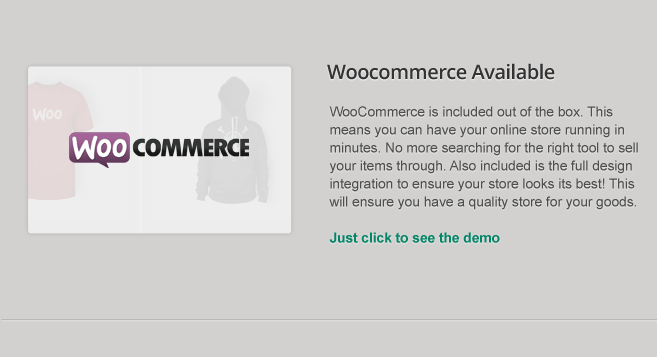 The theme also compatible with WooCommerce which is has the capability to run an online shop within the range of your Business scope and WPML multi language plugin which means you can easily host your site to people of all languages. 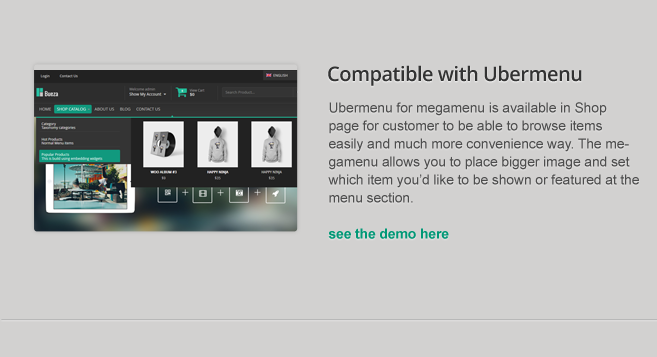 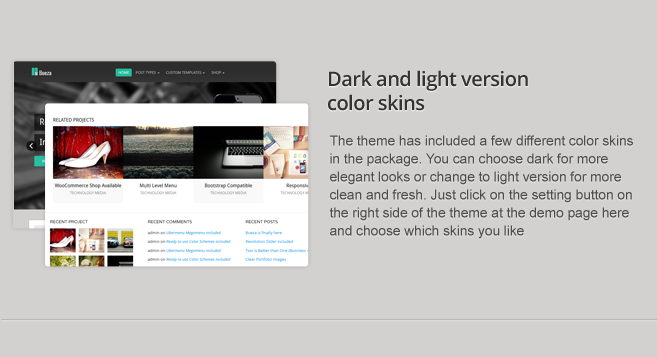 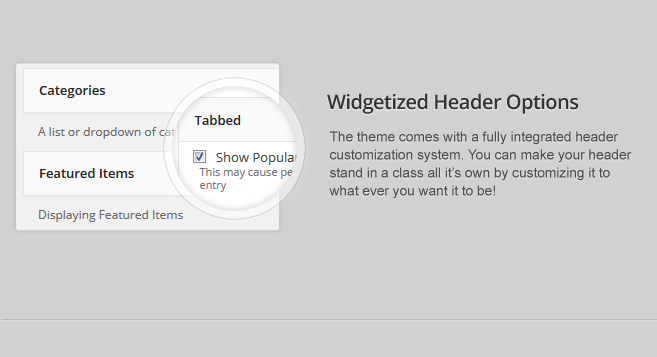 The Theme based on a custom base theme that has dozens of features includes unlimited colors, ready to use dark and light version color skins, has the option of Full and Boxed layout, compatible with Bootstrap, dynamic sidebar, compatible with megamenu and includes the Amazing Revolution slider as a bonus. 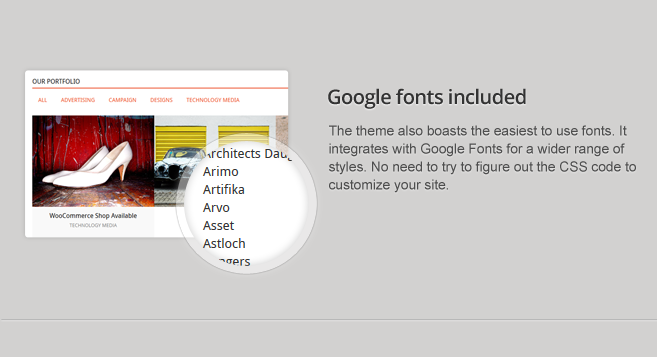 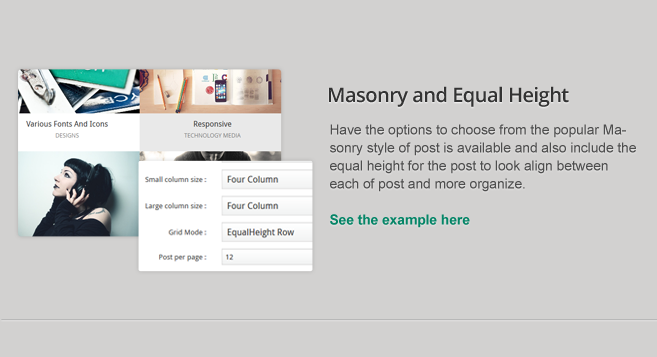 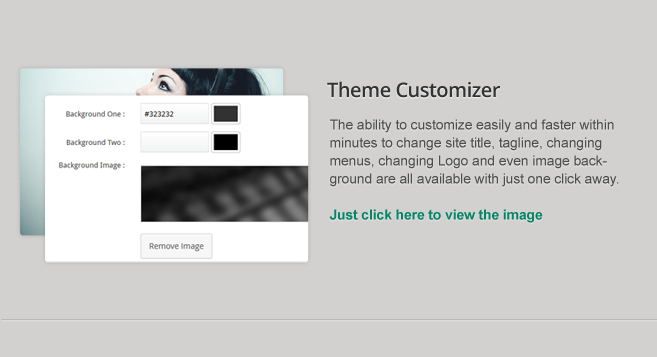 It is also compatible with the latest WordPress version 3.8.